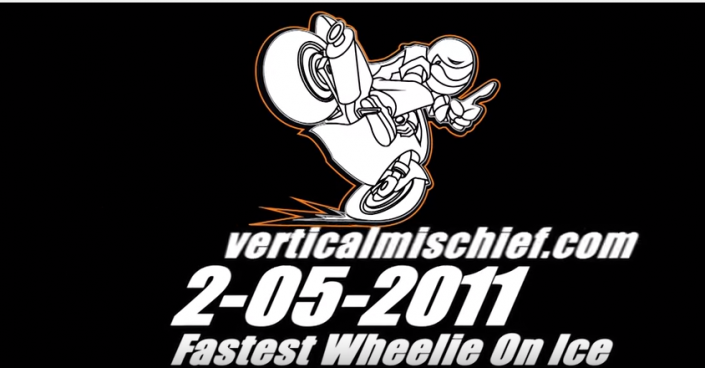 On 2-05-2011 - Ryan Suchanek became the fastest man to wheelie on ice, with a final speed of 95mph. Wow and congrats. Ryan S.